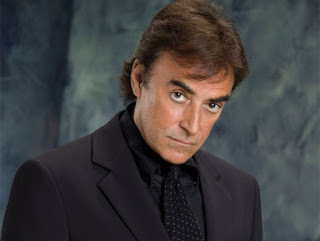 Friday, January 13th at 10 pm est, the Diva of Days of our Lives and friends will interview former Days actor, Thaao Penghlis. Thaao portrayed identical twin cousins, Count Antony DiMera and Andre DiMera on the show. Thaao was nominated for a lead actor Daytime Emmy for his roles. Thaao also starred in the remake of the television series, Mission Impossible which is now available on dvd. Thaao also starred in General Hospital and Santa Barbara. I wish that Thaao(Tony) could come back to Days to stop Stefan and E.J. from their deeds. Thaao can bring so much back to DAYS. Let's face it. DAYS is just getting so rediculous. I'm beginning to wish that after their contract expires, the show would also expire.